The District 26 district-level speech contests conducted during the Spring Conference are Evaluation and International Speech. Congratulations to our District finalists. They have worked hard to progress through their club, Area and Division contests to meet on stage during our Spring Conference. Please consider attending to support them. For all the details and to register, please review our Spring Conference page. Check back after April 27th to view the winners’ names in each Division! Speech Contests are one of the many ways toastmasters can grow and perfect both speaking and leadership skills. Contests are conducted in a safe, fair environment that encourages speaking and leadership growth. Every part of a contest requires volunteers filling key roles. These volunteers have responsibilities per Toastmasters International Rules and Regulations for conducting a fair contest. Learning about and executing these roles while working with others helps strengthen Leadership skills. Below is a list of some contest roles. Contest Chair: Oversees all aspects of the contest, briefs Contestants. Chief Judge: Briefs Judges, assigns tie-breaking Judge and ensures ballot counting is handled correctly. 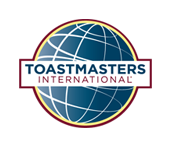 Toastmasters: Makes sure contest is running per Toastmaster International. Judges: Scores and ranks contestants in accordance with contest ballot. Ballot Counters: Collect and count Judges ballots. Timers: Notes each contestant’s time as well as judging times. Sergeant at Arms: Ensures contest starts on time, prepares speakers props, escorts contestants as needed, ensures no interruptions are made during contest. Snack/Food Chair: Coordinates food and beverages for contest. Each contest has multiple opportunities to expand your skills. If you would like to learn more about contests or are planning a contest, follow the links below for additional information or contact the Program Quality Director. * District 26 asks that all Judges complete Judges training either online or in person. You are encourages to take the online training or attend a TLI training when offered so you are prepared if asked to be a judge. This training enhances your skills, keeps you up to date on new rules and adds to the credibility of contests at all levels. All district-level speech contests are to be conducted only at the annual district conference. The decision to hold contests at the area and division level rests with the district executive committee. Contests must be conducted in the same manner for all areas and divisions within the district. For those districts that decide to conduct additional contests, those contests must originate at the club level and proceed through the area, division and district levels. To reiterate: district-level contests are only to be held during the annual district conference.